Warsaw (AFP) - Poland's divided attitudes to the European refugee crisis were laid bare during a televised debate between political candidates, ahead of a general election the conservative opposition is tipped to win. Candidates from eight parties faced off on how Poland should approach the unprecedented influx into the EU of refugees and migrants fleeing war and unrest in the Middle East and North Africa, as the right-wing Law and Justice (PiS) party makes significant gains in opinion polls. Polish Prime Minister Ewa Kopacz, whose centrist Civic Platform (PO) is trailing the PiS ahead of the October 25 vote, reiterated her commitment to European solidarity but stressed she would aim to reinforce the bloc's borders. "Most of all we will show solidarity with those people who are fleeing harm's way or death," she said, adding that differentiating between refugees and economic migrants would nonetheless be a priority. Kopacz's government has opposed obligatory migrant quotas but agreed to accept about 5,000 of the 120,000 people to be shared out between the 28-member European Union. Rival Beata Szydlo of the PiS said Poland "should focus on humanitarian aid and financial help for those countries where these people are now at risk", and aim to deal with the flow of refugees at the source. Two surveys published last week gave her party 32 and 36 percent support among the electorate, well ahead of the 22 percent for the PO, which has seen its popularity fall after eight years in power. Political newcomer Pawel Kukiz -- a retired punk-rocker who shot out of nowhere to capture 20 percent of the vote in the May presidential vote -- said "these are economic migrants", not refugees. 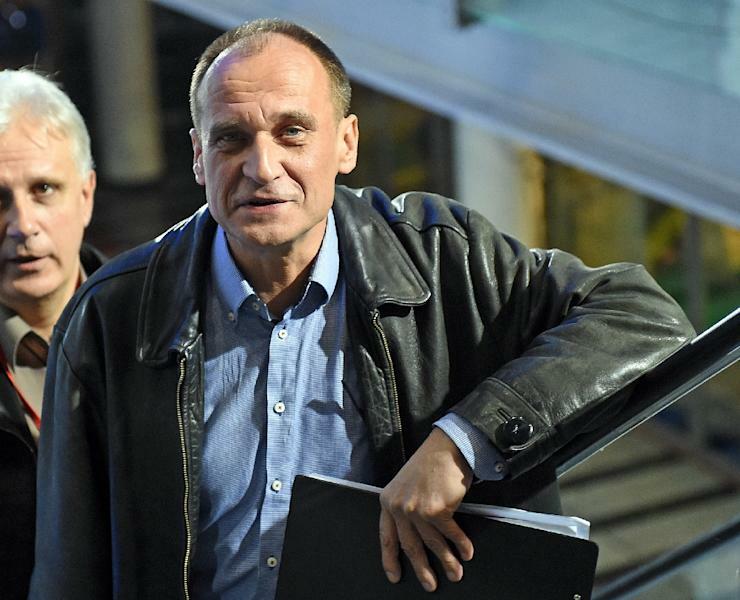 Some polls say his Kukiz'15 party could make its parliamentary debut with five to seven percent showing, while others show it burning out after his spectacular presidential bid. Of the smaller parties running in the election, Janusz Korwin-Mikke of the eurosceptic, libertarian Korwin group accused German Chancellor Angela Merkel of "demanding that we create concentration camps for these refugees and guard them so that they don't flee to Germany." Adrian Zandberg -- a young relatively unknown politician from the small leftist party Together -- urged other politicians against playing the fear card on the migrant issue and called for "decency" towards migrants. "If these people who are fleeing war, death and often hunger are knocking on our doors, then it is our human duty to simply look after them," he said.